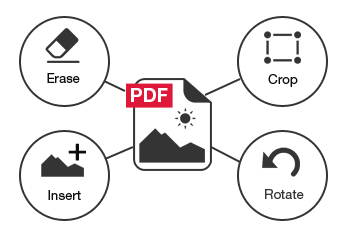 The perfect solution for modifying and editing your PDF files! New – Edit PDF/A files! Bates Numbering: widely used in some professional fields (legal, accounting …), this dial is used to annotate all the PDFs to make every document easy to find. Click on “Edit” tab in the program’s toolbar. Click on the text or image you want to edit. Expert-PDF will automatically display the tools you need. Add text or edit the text present on the page. Cut, copy, paste, move text and modify the text properties. Insert lines, rectangles or ovals using the Shapes tools from the “Review” tab. Name the edited PDF file and save it at a location of your choice.